ZangZing, the San Francisco-based photo-sharing startup founded by an all-star group of Silicon Valley veterans, launches today in private beta. 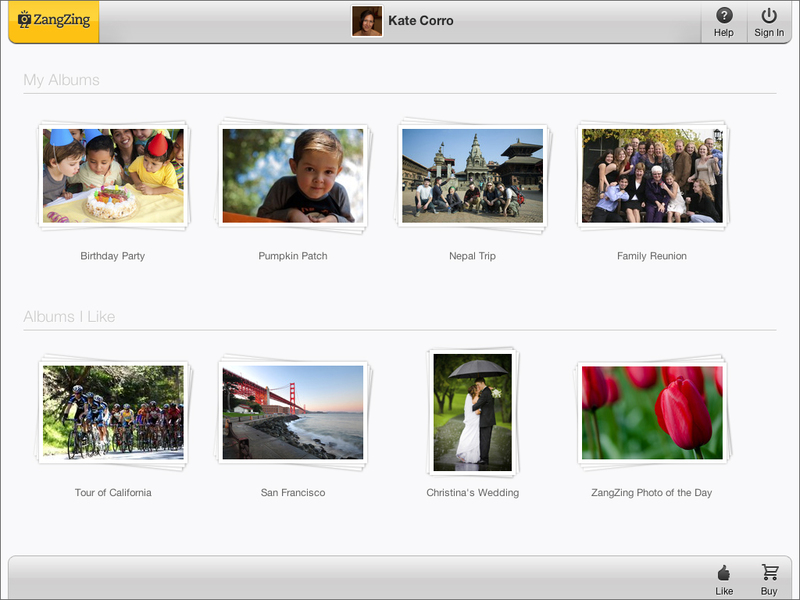 ZangZing aims to make it easy for multiple people to add photos to a single online album. 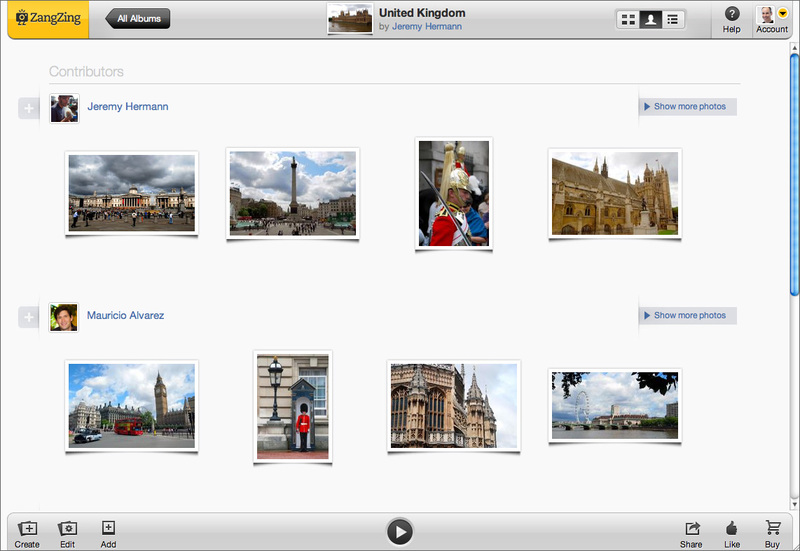 Once a person has been added as a member to a ZangZing group album, he or she can add photos in three ways: By uploading them from a hard drive; by importing photos from other sites such as Facebook, Flickr and Instagram; or by emailing a photo to the album’s unique email address from a smartphone or a computer. While ZingZang’s user interface is indeed slick, and the ability to import photos that are already hosted on third-party sites like Facebook is nice, what I find most appealing about ZangZing is its focus on privacy. When creating a ZangZing album, users are prompted to set the privacy settings in one of three ways: Password protected, hidden (viewable to anyone who has the URL), or public. Designating a privacy level is an integral part of album creation, rather than an obscure feature that only savvy users are likely to seek out. Turns out that, when given the explicit choice, the majority of people shy away from sharing their photos with the world: Ansanelli said that more than 50 percent of ZangZing’s trial users have opted to make their photos private in some way. “ZangZing’s message is really that privacy matters,” he said. ZangZing isn’t Ansanelli’s first time at the tech startup rodeo. He’s co-founded and sold several companies, the most recent being Vontu, a data loss prevention firm acquired by Symantec in 2007 for $350 million. Ansanelli is working with equally heavy-hitting co-founders: COO Kathryn Corro was part of the founding team at real estate investment firm Rockpoint Group, and CTO Mauricio Alvarez previously served as deputy CTO at BEA Systems, the infrastructure software firm now owned by Oracle. ZangZing’s co-founders have funded the company with $1.5 million in their own capital, and Ansanelli tells me he doesn’t plan on seeking outside investment anytime soon. The company plans to make money through a traditional “freemium” model: Photo storage will be free up to a certain point, and users who want to store more will pay a to-be-determined monthly or annual fee. ZangZing currently has six full-time employees and several contractors. ZangZing has offered GigaOM reader 250 spots in the public beta. i think this is a great sharing site so this was my experience i hope other who have used Flickr used it..they will like it..
i wont be surprised if google or flicker…purchase this company soon..
but yes it has better privacy i check it and i liked it….